By Kathy M. Borovicka, M.D., Sara K. Boyd, D.O., Julia D. Cameron-Morrison, D.O., Julia J. Hobson, D.O. 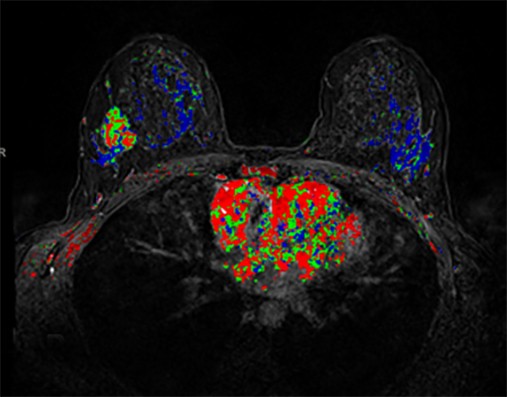 Breast cancer remains the second leading cause of cancer-related death in women, with an approximately 1 in 8 (12%) chance of developing invasive breast cancer in a woman’s lifetime.1 Over the past two decades, significant advances in MRI have increased sensitivity in detecting breast cancer. 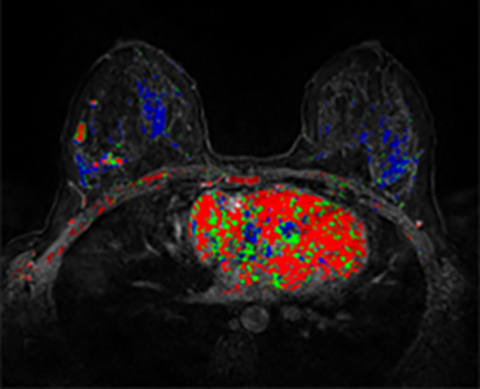 Since then, radiologists, surgeons and oncologists have been utilizing breast MRI for both screening and staging of breast cancer. 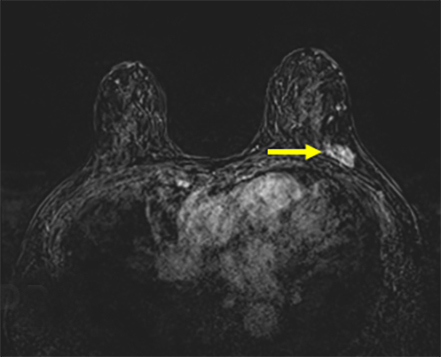 Numerous studies have shown that breast MRI can identify additional foci of carcinoma within the breasts and that it determines more extensive disease compared to conventional imaging of mammography and ultrasound.2 This article will review how radiologists can use breast MRI in detecting additional disease within the breast and surrounding tissues. 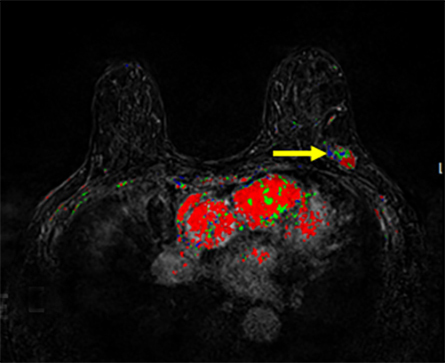 Breast carcinomas are detected via screening and diagnostic evaluations. 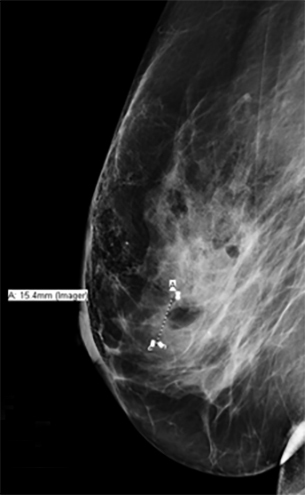 The workup of abnormalities includes evaluation with diagnostic mammography and ultrasound (US). 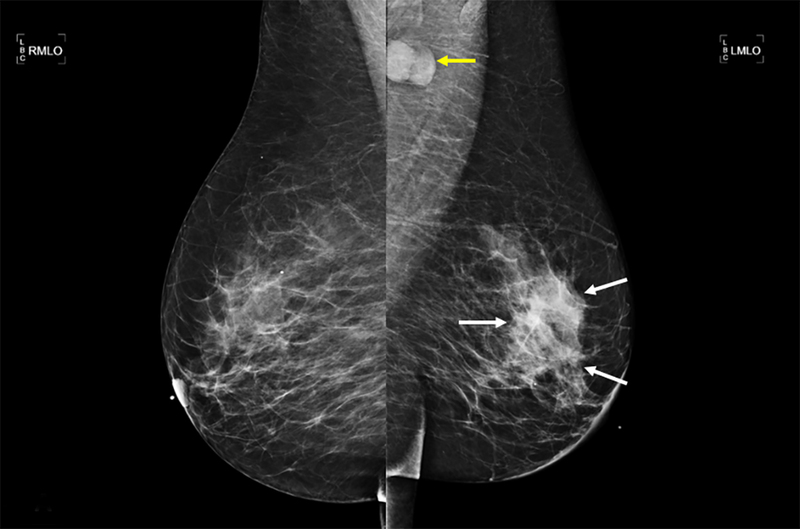 Tomosynthesis is used as a 3-dimensional (3D) digital mammogram that has been shown to increase detection of invasive carcinomas.3 Tissue sampling for pathologic diagnosis is then performed depending on the modality in which the abnormality is best visualized, including ultrasound guidance, stereotactic biopsy, and tissue sampling with MRI. Ultrasound-guided biopsies are preferred given the ease of performing and scheduling these cases. 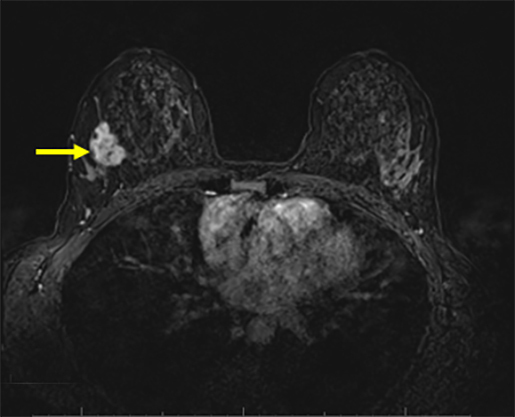 The radiologist must then determine whether the pathology result is concordant or discordant with the imaging findings. If discordant, a recommendation for additional tissue sampling via biopsy or surgical excision is then given. 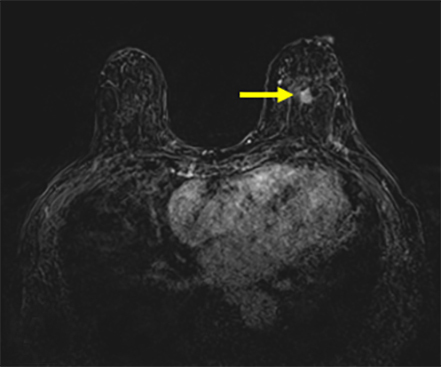 Preoperative breast MRI is increasingly used in staging newly diagnosed breast cancers. 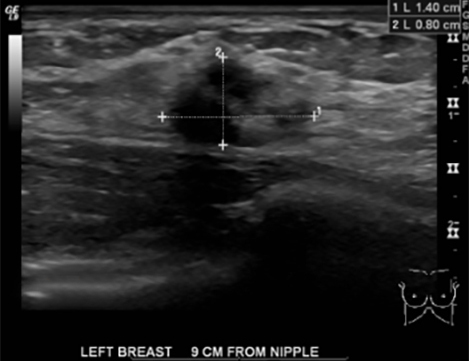 It is primarily utilized to look for evidence of more extensive disease than is noted on conventional imaging with diagnostic mammography and ultrasound. This includes additional disease in the ipsilateral or contralateral breast (Figures 1-3). 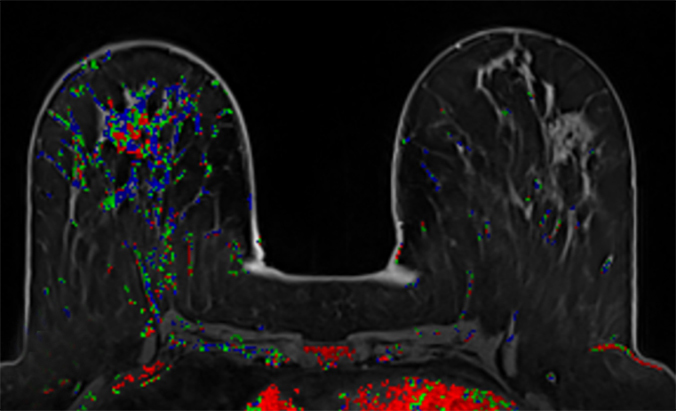 Breast MRI has been shown to be significantly more sensitive in evaluating the extent of disease in breast cancer patients when compared to mammography and US. 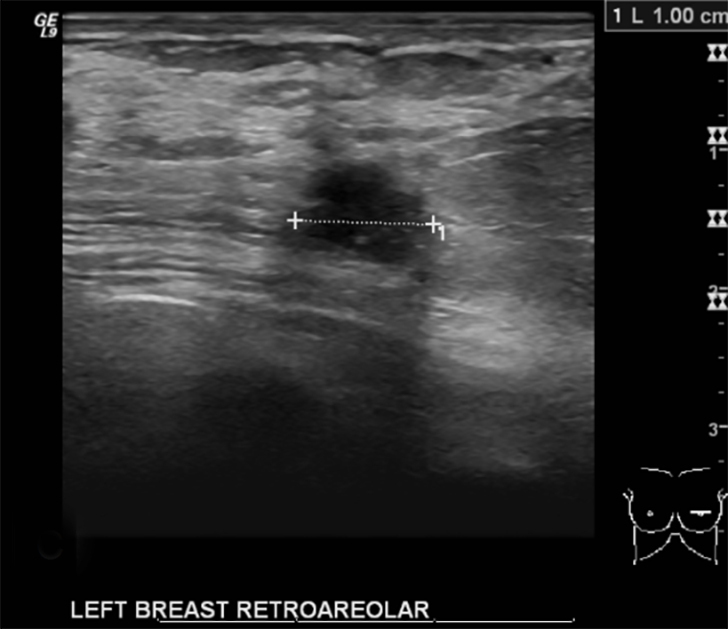 This includes involvement of the unilateral and contralateral breast, as well as extramammary spread of disease. 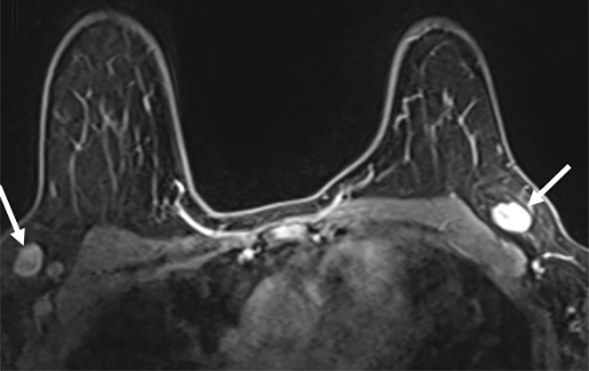 With a preoperative breast MRI, it is important for the radiologist to appropriately describe the extent of suspected disease in accordance with the BI-RADS lexicon, and make appropriate management and follow-up recommendations. American Cancer Society. Breast Cancer Facts & Figures 2015-2016. Atlanta: American Cancer Society, Inc. http://www.cancer.org/cancer/breastcancer/detailedguide/breast-cancer-key-statistics. Accessed June 2, 2017. Houssami N, Hayes DF. 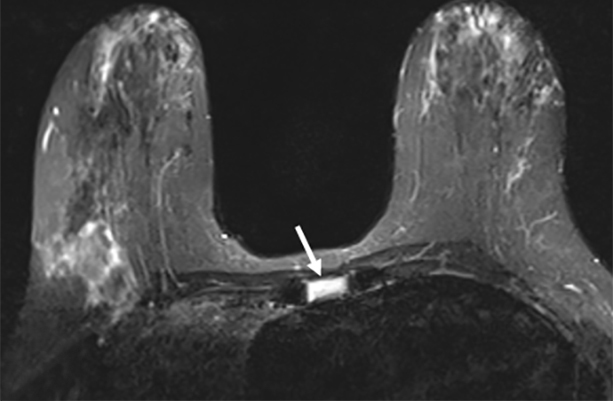 Review of preoperative magnetic resonance imaging (MRI) in breast cancer: should MRI be performed on all women with newly diagnosed, early stage breast cancer? CA Cancer J Clin 2009;59(5):290-302. Sharpe RE, Venkataraman S, Phillips J, et al. 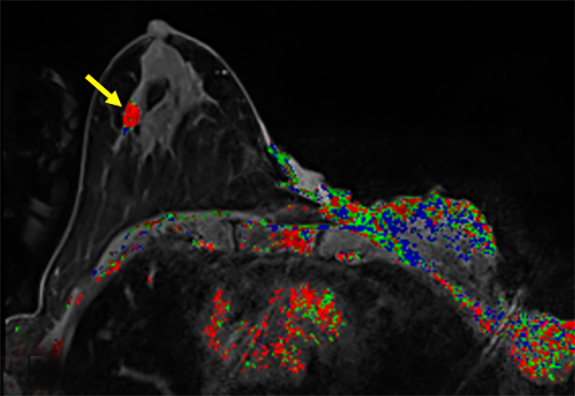 Increased cancer detection rate and variations in the recall rate resulting from implementation of 3D digital breast tomosynthesis into a population-based screening program. Radiology 2016;278(3):698-706. Freer PE. 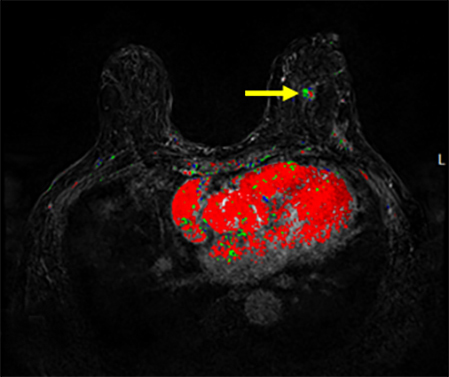 Mammographic breast density: impact on breast cancer risk and implications for screening. Radiographics 2015;35(2):302-315. Harvey JA, Bovbjerg VE. 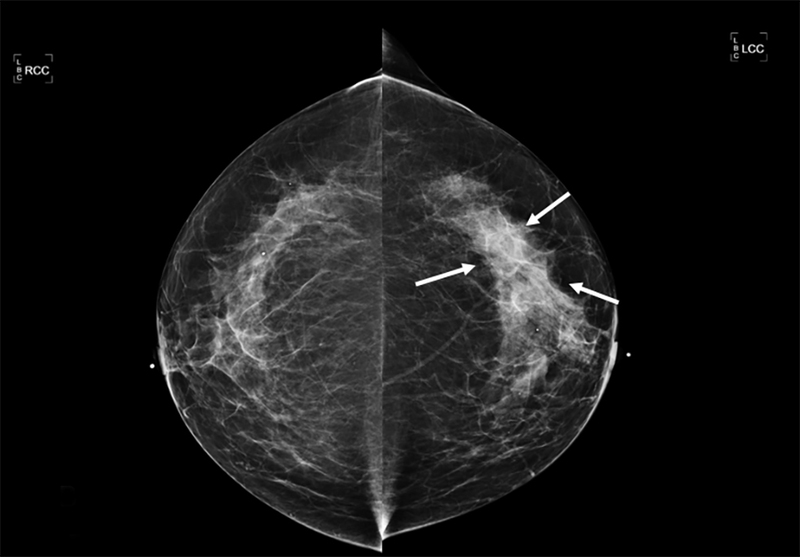 Quantitative assessment of mammographic breast density: relationship with breast cancer risk. Radiology 2004;230(1):29-41. Nebraska Becomes the 32nd Density Reporting State as Governor Ricketts signs Cheri’s Law. http://areyoudenseadvocacy.org/worxcms_published/news_page224.shtml. Accessed May 31, 2017. 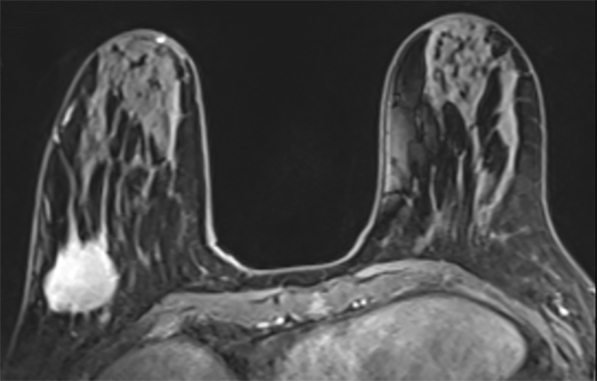 Wiedenhoefer JF, Shahid H, Dornbluth C. MR imaging of breast implants: useful information for the interpreting radiologist. Appl Radiol 2015:44(10):18-24. Giger ML, Inciardi MF, Edwards A, et al. 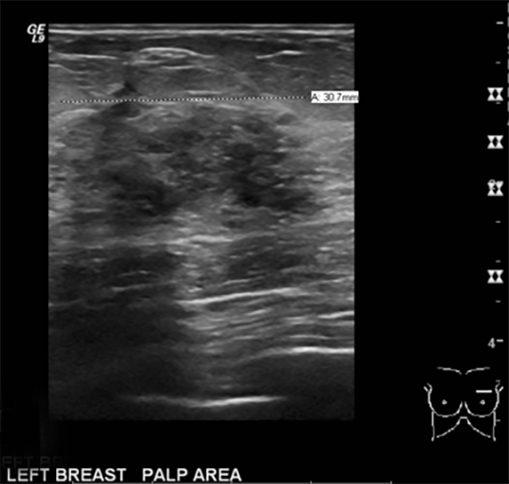 Automated breast ultrasound in breast cancer screening of women with dense breasts: reader study of mammography-negative and mammography-positive cancers. Am J Roentgenol 2016;206(6):1341-1350. Sardanelli F, Giuseppetti GM, Panizza P, et al. 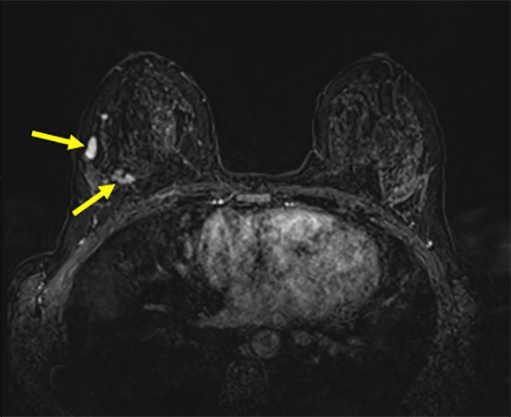 Sensitivity of MRI versus mammography for detecting foci of multifocal, multicentric breast cancer in fatty and dense breasts using the whole-breast pathologic examination as a gold standard. Am J Roentgenol 2004;183(4):1149-1157. 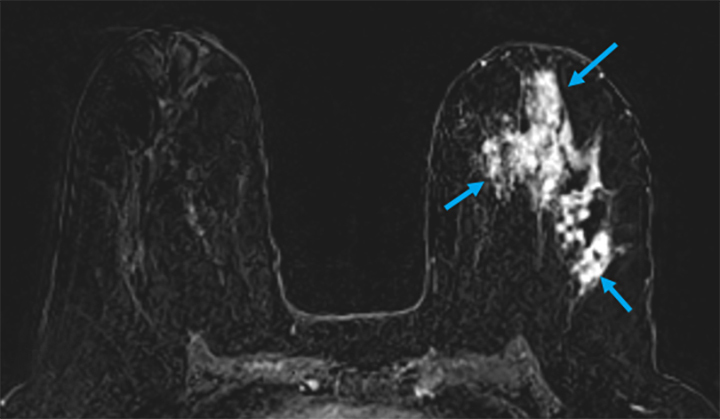 CR Practice Parameter for the Performance of Contrast-enhanced Magnetic Resonance Imaging (MRI) of the Breast. 2013. http://www.acr.org/~/media/2a0eb28eb59041e2825179afb72ef624. Accessed May 11, 2017. Morris EA, Comstock CE, Lee CH, et al. 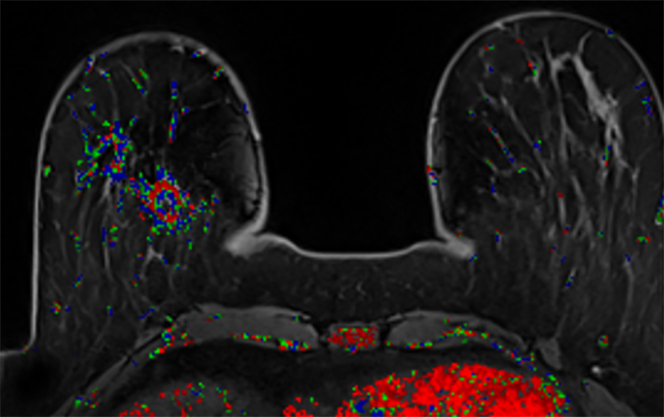 ACR BI-RADS® Magnetic Resonance Imaging. In: ACR BI-RADS® Atlas, Breast Imaging Reporting and Data System. Reston, VA: American College of Radiology; 2013. Lee SC, Jain PA, Jethwa SC, et al. 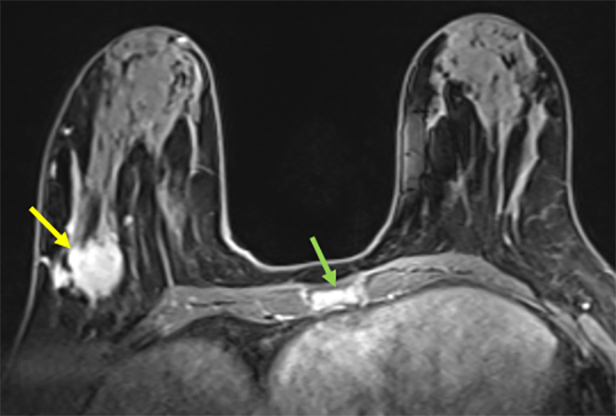 Radiologist’s role in breast cancer staging: providing key information for clinicians. Radiographics 2014;34(2):330-342. Schell AM, Rosenkranz K, Lewis PJ. 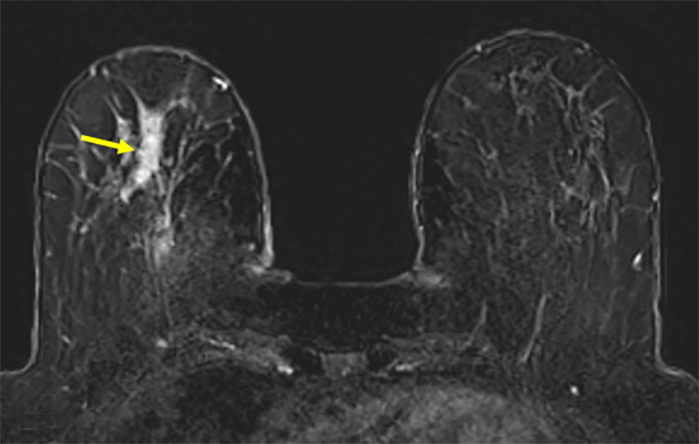 Role of breast MRI in the preoperative evaluation of patients with newly diagnosed breast cancer. Am J Roentgenol 2009;192(5):1438-1444. 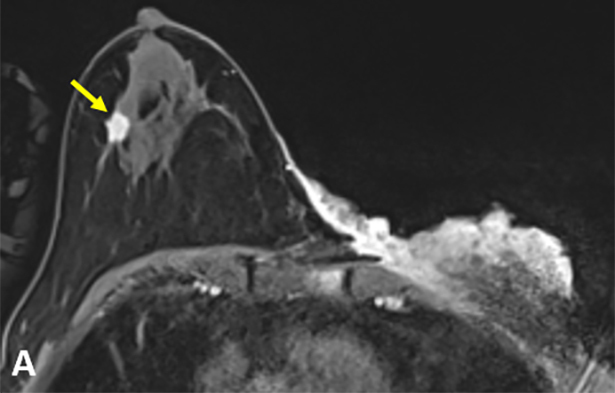 Morrow M, Waters J, Morris E. MRI for breast cancer screening, diagnosis, and treatment. Lancet 2011;378(9805):1804-1811. Brennan ME, Houssami N, Lord S, et al. 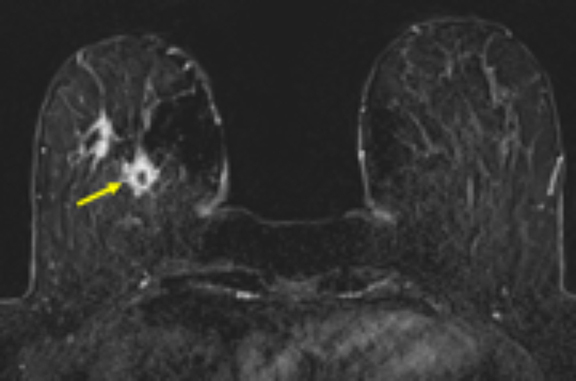 Magnetic resonance imaging screening of the contralateral breast in women with newly diagnosed breast cancer: systematic review and meta-analysis of incremental cancer detection and impact on surgical management. Boetes C, Mus RD, Holland R, et al. 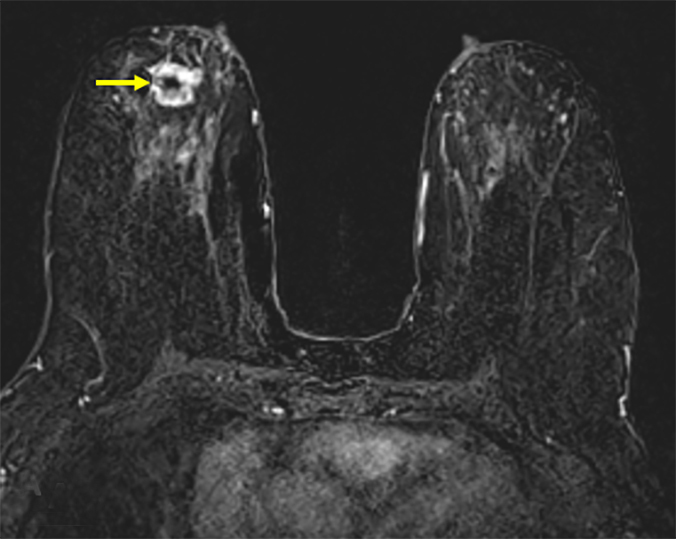 Breast tumors: comparative accuracy of MR imaging relative to mammography and US for demonstrating extent. Radiology 1995;197(3):743-747. 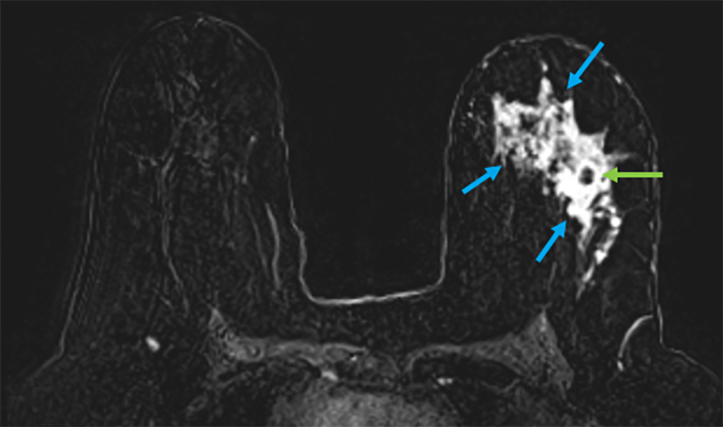 Patanaphan V, Salazar OM, Risco R. Breast cancer: metastatic patterns and their prognosis. South Med J 1988;81(9):1109-1112. Borovicka KM, Boyd SK, Cameron-Morrison JD, Hobson JJ. 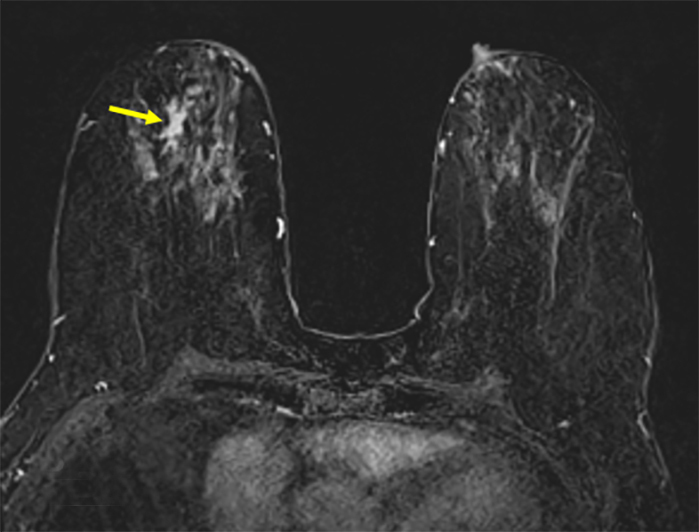 Utilization of Breast MRI for Extent of Disease in Newly Diagnosed Malignancy. J Am Osteopath Coll Radiol. 2017;6(4):5-11. Kathy M. Borovicka, M.D., Sara K. Boyd, D.O., Julia D. Cameron-Morrison, D.O., Julia J. Hobson, D.O. Drs. 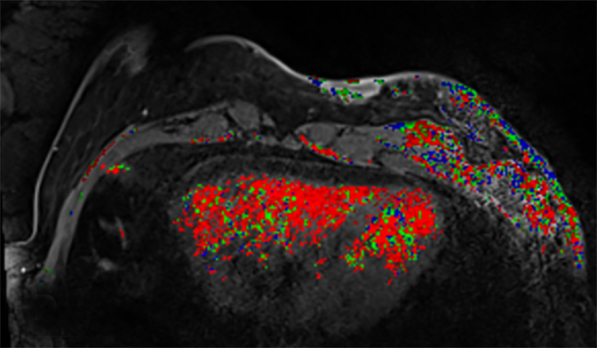 Borovicka, Boyd, Cameron-Morrison, and Hobbs work with the Department of Radiology, Beaumont Hospital, Farmington Hills, MI.